Barbara A. 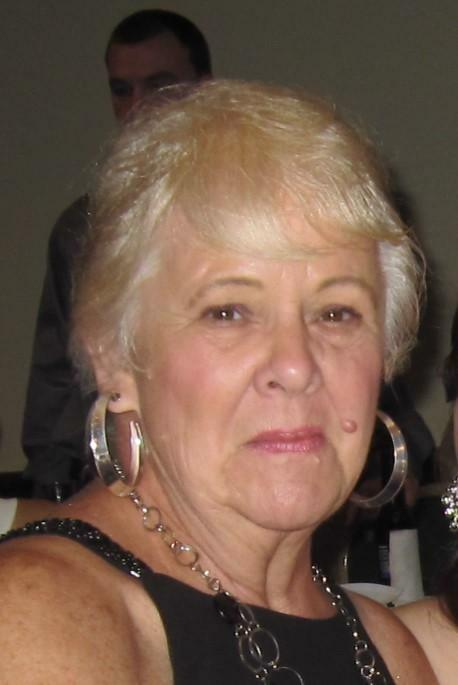 (Wilhelmi) LaFrado, 79, a resident of Laurel Center, Hamburg, and formerly of Philadelphia, PA, and Vera Beach, FL, passed away on Saturday, March 23, 2019 in Genesis Health Care -Laurel Center, Hamburg. She was the widow of Vincent M. LaFrado, Sr. Born in Philadelphia, Barbara was a daughter of the late Albert and Mary (File) Wilhelmi. Barbara enjoyed traveling to Florida, so much, that she eventually became a resident. She also loved the beach, warm weather and music. She was a homemaker. She is survived by her children, Cindy M. (LaFrado) Meigio, and her husband, Steven, of Lenhartsville, Vincent M. LaFrado, Jr., and his wife, Barbara (Hazel), of Hamburg, and Debbie (LaFrado) Gottenberg, and her husband, Yale, of Warrington Twp. ; grandchildren, Nicole (LaFrado) Gordienko, and her husband, Jason, Vincent M. LaFrado III, and his wife, Kelly Anne (Collello), Glenn Gottenberg, and his wife, Lauren (Procachinni), Cindy M. Gottenberg, Monique A. (Meigio) Fleck, and her husband, Ryan, and Maria G. Meigio; great-grandchildren, Michael, Makayla and Mia LaFrado, Michael and Francesca Gottenberg. She is also survived by her siblings, Mary Jane (Wilhelmi) Bowen, Carol (Wilhelmi) Logan and Albert O. Wilhelmi. A funeral service to celebrate Barbara's life will be held on Friday, March 29, 2019 at 12:30 p.m. in Ludwick Funeral Homes, Inc., 333 Greenwich Street, Kutztown, with Reverend Arthur L. Hahn officiating. Relatives and friends are invited to a viewing on Friday from 11:00 a.m. to 12:30 p.m. in the funeral home. Burial will be held privately. Flowers may be sent, or contributions may be made in Barbara's memory to the National Kidney Foundation, Inc., 30 East 33rd Street, New York, NY 10016 or online at www.kidney.org/donation. Your famous homemade Seafood buffets in Vero Beach Florida - Baking Days together from childhood to adult life - your delicious lasagna - roast pork was the best in the world (no exaggeration) - german style potato salad - homemade square pizza that you made every Friday night for Dad (my favorite was mushroom pizza), rice pudding and cheesecakes. Your love for jewelry, dressing up and makeup inspired my love for "bling" I am certain. Despite losing the love of your life twenty years ago, you certainly had the strength and will to move forward with Dad's memory and I am so proud of you for that was beyond difficult. So now it is time to say goodbye my dear Mom and I am certain we will meet again in the eternal life. From day 1 you introduced me as your granddaughter. Way before Vince made that choice. You were a fabulous GG to the kids and the adored visiting you later in life and loved the few times you stayed with us. I will hold dear the memories of driving your wheel chair around by a child with a child in your lap. You are the reason I bake with my kids and we will always talk about you when we do. The Christmas you stayed with us and all the messes we made together are dear to my heart. My sisters and I are so grateful for you being there the days after my mom passed. You took them into your family without thinking twice. You were kind and passionate about everything you did. You also shared my ability to excaudate and Vince will be reminded of you ever time I do. I am not very good with words but I do have a supply of memories I will be forever grateful for. Rest in peace. I loved hearing from her. I only knew Jane through facebook. I was always thrilled to hear from her. It reminded me of my mom.